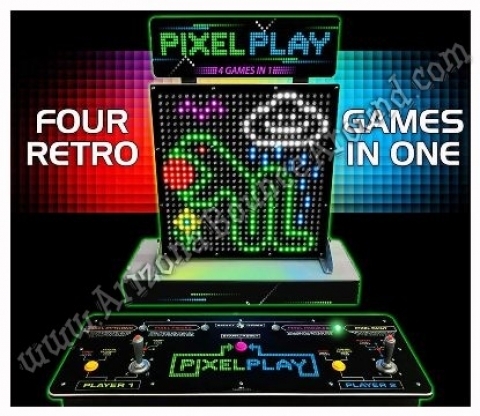 Our Pixel Play arcade game is a 2 player interactive game that features a giant screen with 4 popular arcade game classics including Pong, Tetris, giant light bright or paint and snakes. 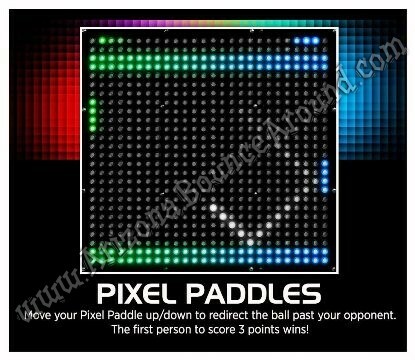 This game comes complete with tables and skirts and requires electricity to operate. 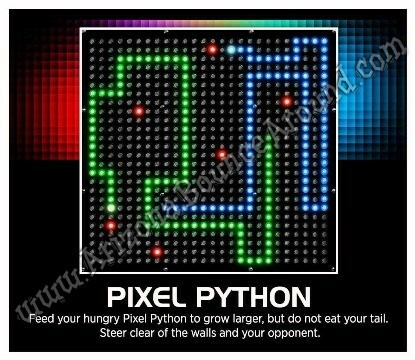 This is a great game to draw a crowd to your trade show booth or promotional event and is great for competitions and team building. 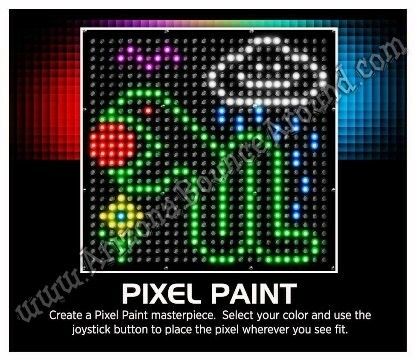 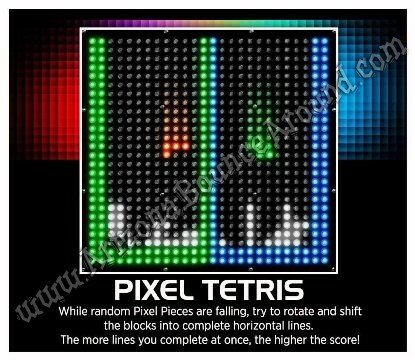 Its also a great game for any type of party or event because of its easy to play features for kids, teens or adults.